If you've been following along on the blog, you know that I have happily downsized my purse. It used to be called my "Big Bag of Everything" but these days I am quite pleased that it has become my "Little Bag of Necessities". 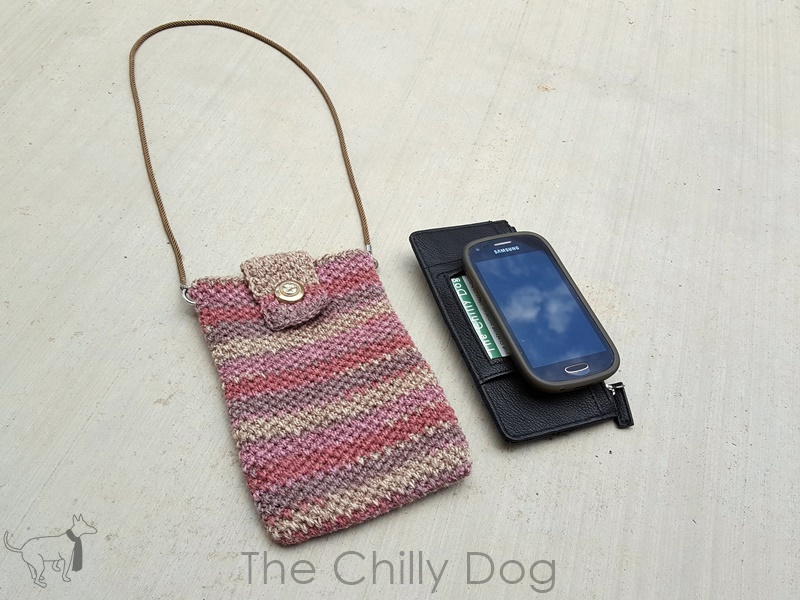 About a month ago I shared a knitting pattern for my Lifeline Pocket Purse. 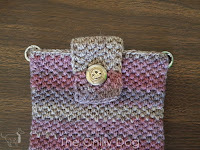 Today I have a crochet pattern for another micro purse. It's approximately 5 inches wide x 7 ½ inches deep and perfect for those days you want to travel light. Many thanks to Endless Leather for providing the fantastic silk cord and jewelry findings to complete this purse. 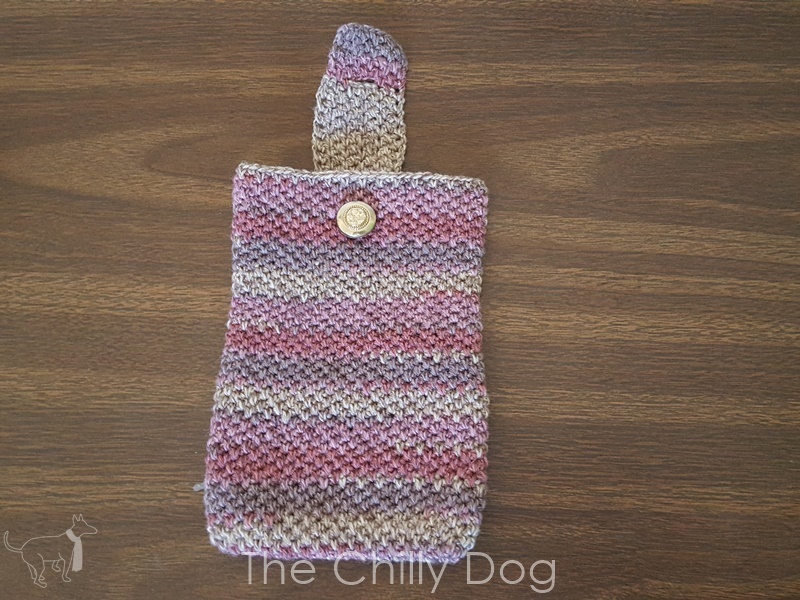 This bag is worked from the bottom up, in a continuous spiral with the right side facing so there is no need to turn the piece over as you work or join the last stitch of the round to the first with a slip stitch. 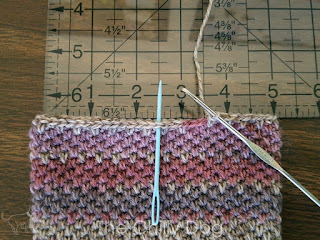 Rnd 2: [sc in next sc, sc in the stich below the next sc] repeat these two stitches until the piece measures 7 ½ inches from the beginning ch. 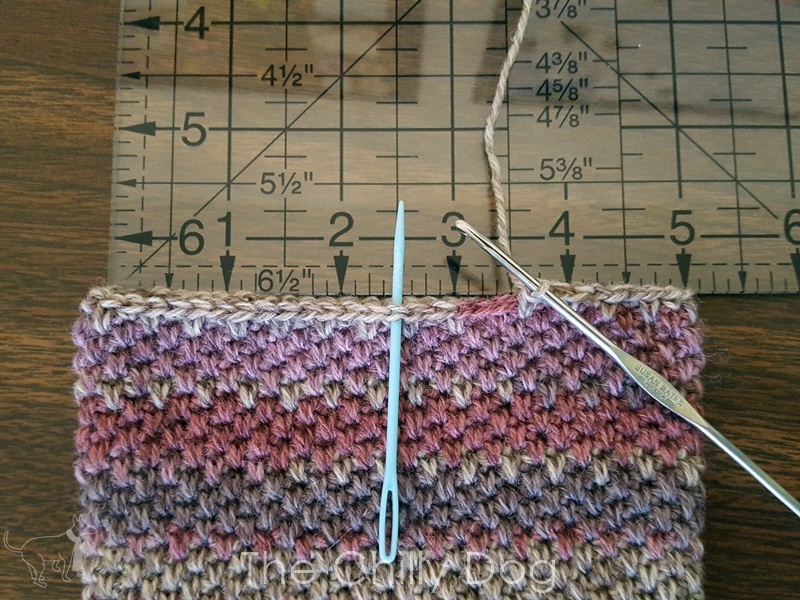 Use a ruler to find the center stitch of the bag. The center stitch should be a sc (NOT a sc in the stitch below the next sc). continue working in the pattern to 5 sts before the center mark. Your last stitch should be a sc in the stitch below the next sc. This section is worked in rows. Row 1: [sc in next sc, sc in the stitch below the next sc] 5 times, ch 1, turn. Repeat Row 1 until the flap measures 2 inches. Row 2 (buttonhole row): sc in next sc, sc in the stitch below the next sc, sc in next sc, ch 4, skip 4 sts, sc in the stitch below the next sc, sc in next sc, sc in the stitch below the next sc, ch 1, turn. Row 3: sc in next sc, sc in the stitch below the next sc, sc in next sc, 1 sc in each of the next 4 ch, sc in the stitch below the next sc, sc in next sc, sc in the stitch below the next sc. Repeat Row 1 until the flap measures 1 inch from the button hole omitting the last ch 1 of the final row. Fasten off. Use a needle and thread to attach a button. Attach the circle clasps to either side of the bag. 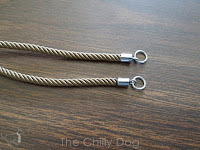 Cut the silk cord to the desired strap length minus ¾-inch. (If you plan to carry your purse over one shoulder, you will need 28-36 inches of cord. 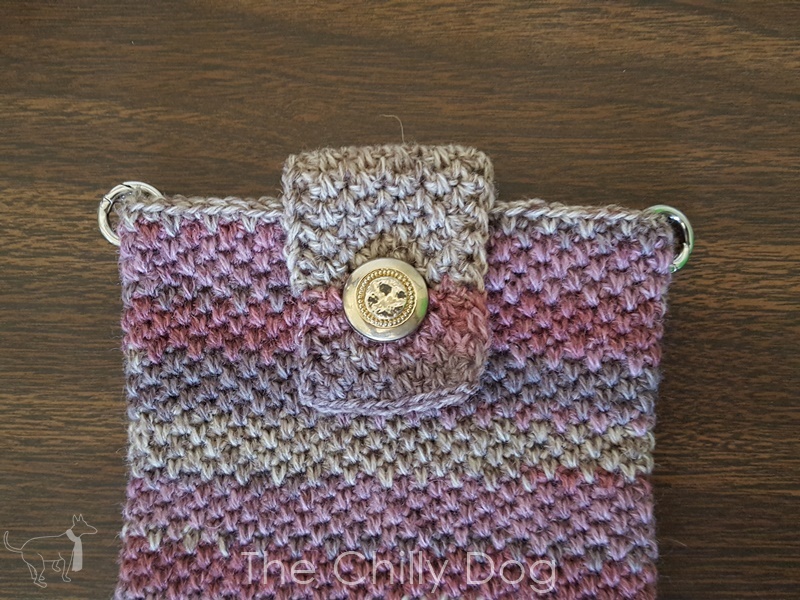 For a cross-body strap, plan on using 48-54 inches of cord. As shown, the silk cord was cut to 28 inches.) Be careful so the cord does not fray after it's cut. 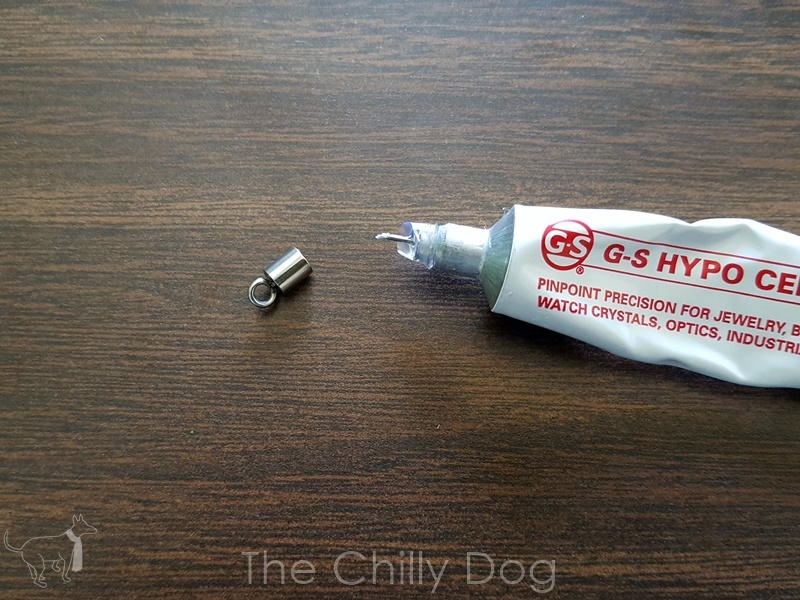 Place a generous dot of G-S Hypo Cement into one end cup. You can even add a little glue around the tip of the silk cord. Tip: If you don't use enough glue, the cord will slide out of the end cup the first time you use your purse. Insert one end of the cord into the end cup. 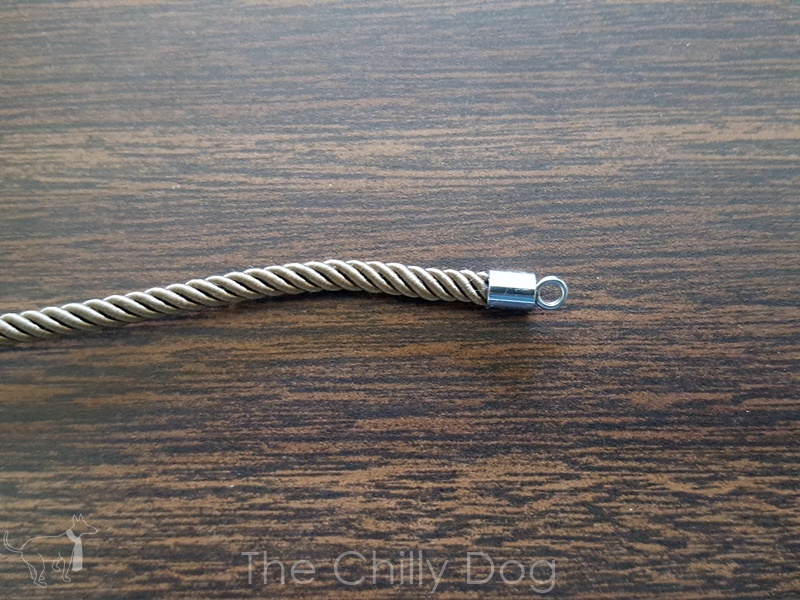 It is helpful to slightly twist the cord in the direction that it tightens as you push it into the end cup. It's ok if some glue oozes out. Simply use a damp cloth to clean the outside of the end cup and the silk cord before the glue starts to dry. 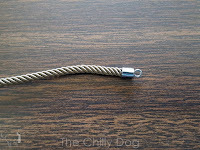 Attach the second end cup to the other end of the cord in the same way. Use pliers to open the jump rings and attach them to the looped sides of the end cups. 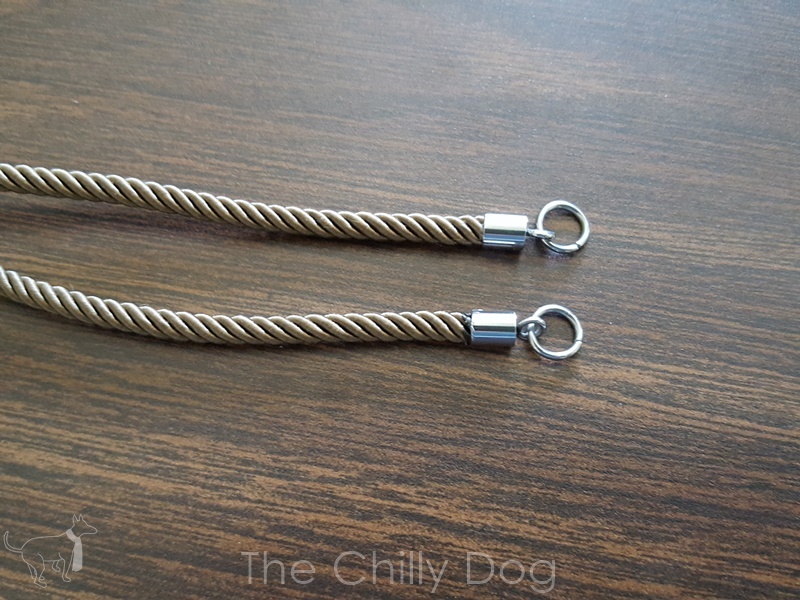 Open the circle clasps and slide them through the jump rings. Fill your bag with a small wallet, phone and maybe some lip gloss and you are ready to go. 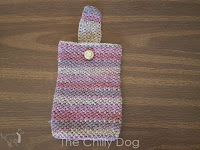 A printable version of the Pink Sands Pocket Purse Pattern is available in my pattern shop. Happy crocheting! 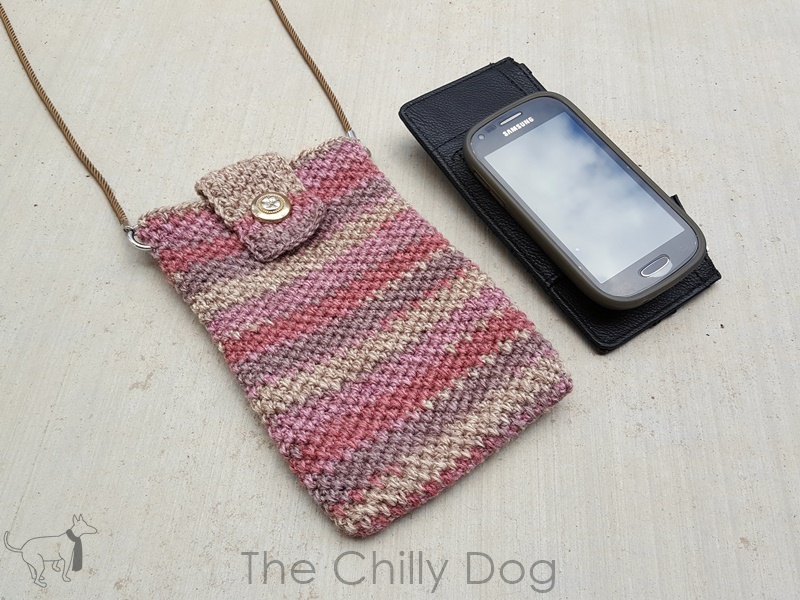 Free Crochet Pattern: Pink Sands Pocket Purse to carry just the essentials when you are on the go.